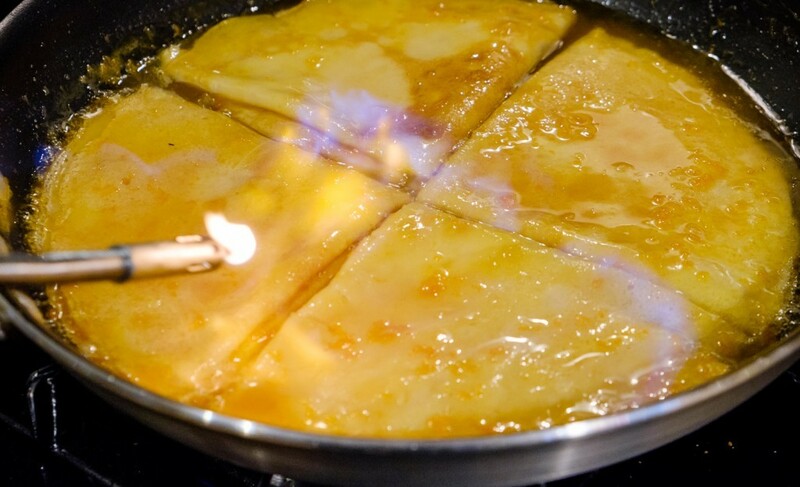 One of Scott’s favorite desserts of all time is Crepe Suzette. 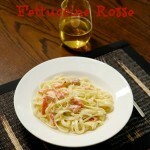 It is yet another dish that he introduced me to and I was very quickly a fan. Any time your dessert involves flames, it has to be good! 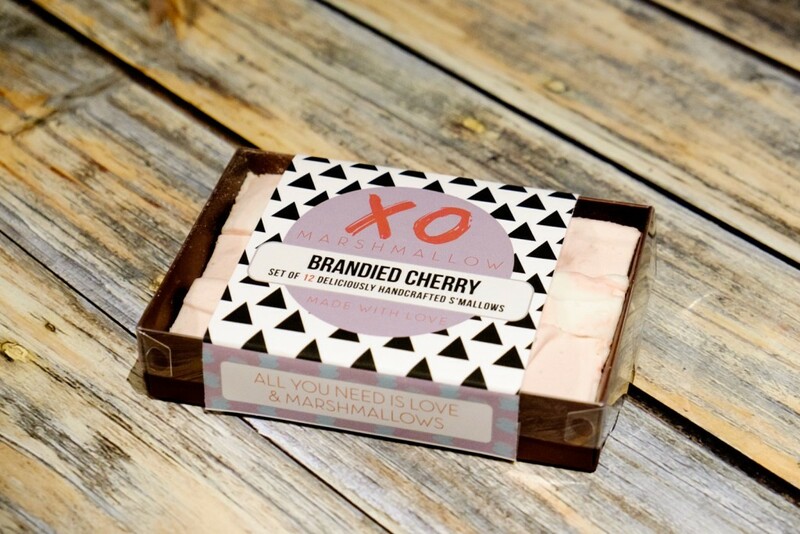 When I got the chance to create a dish with XO Marshmallow, I immediately thought of how much I love roasted marshmallows. 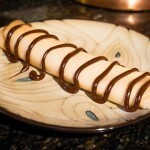 The gourmet flavors had me thinking that I really needed to do something special with them and that brought me around to recreating Scott’s favorite dessert, but with a twist. 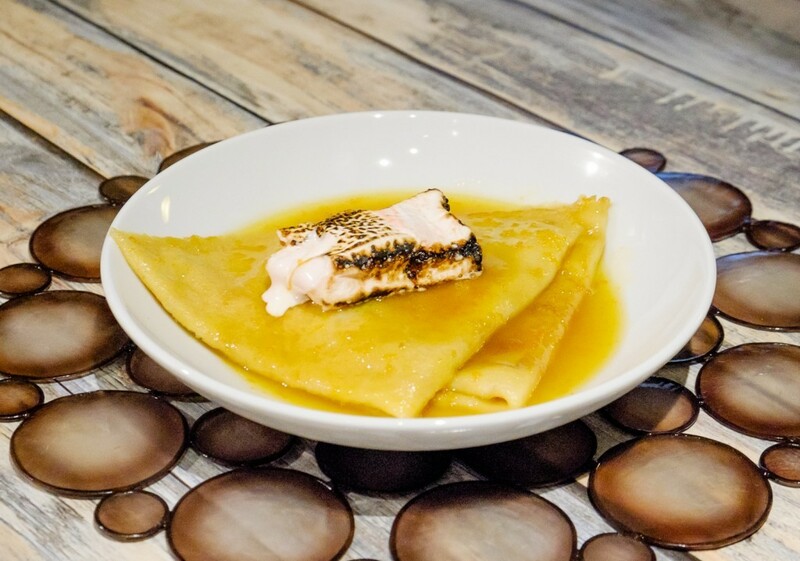 Crepe Suzette with Roasted Brandied Cherry Marshmallows is a mouthful to say, but you’ll enjoy each bite! 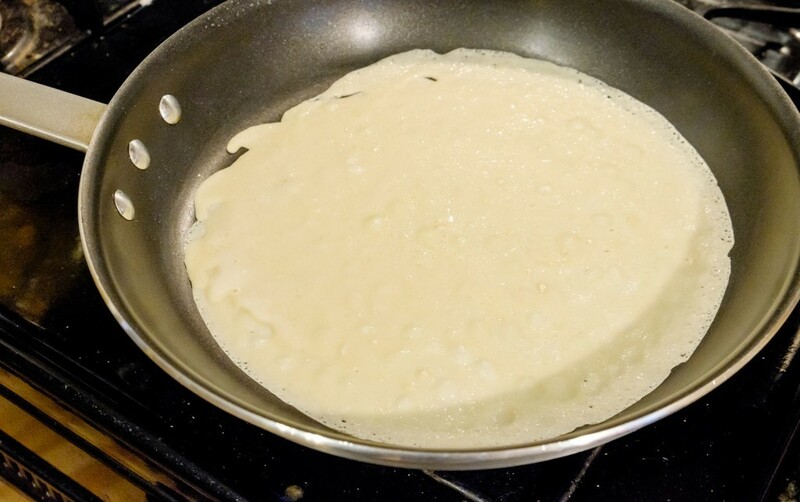 Mix the wet ingredients and add them to the flour. 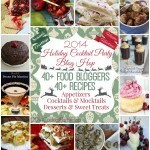 Whisk it all together. 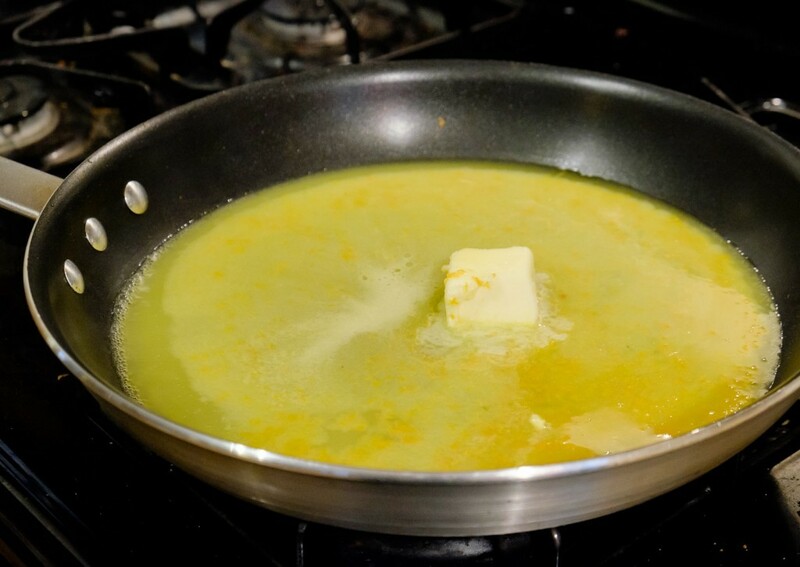 And a half cup of the mixture to a nonstick skillet over medium heat. 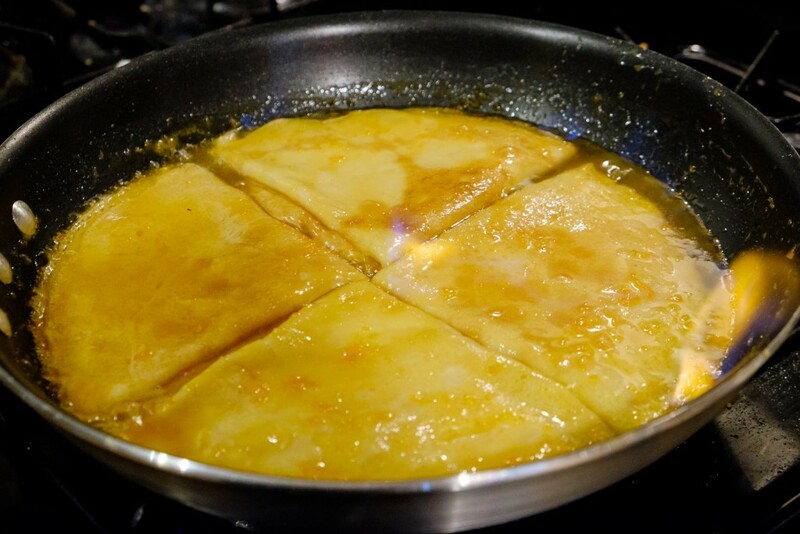 Cook for two minutes, flip, and cook for another minute. 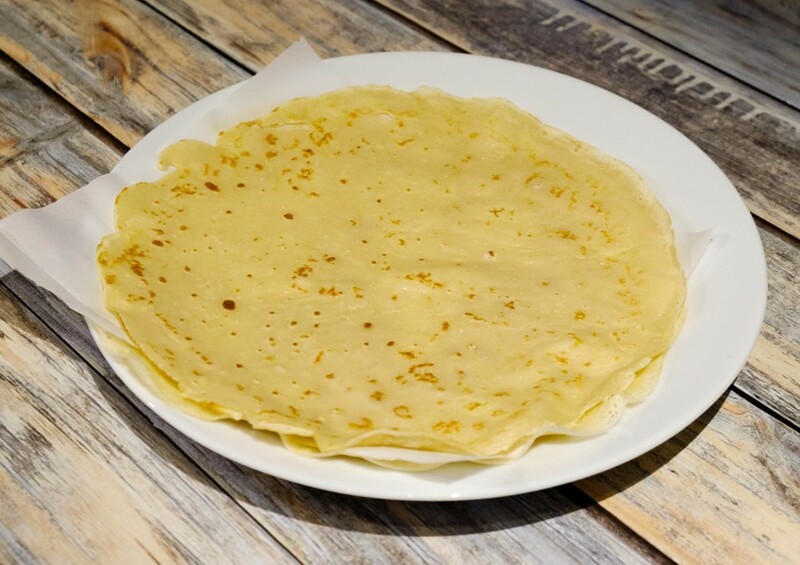 Set each crepe aside, separated by parchment paper. 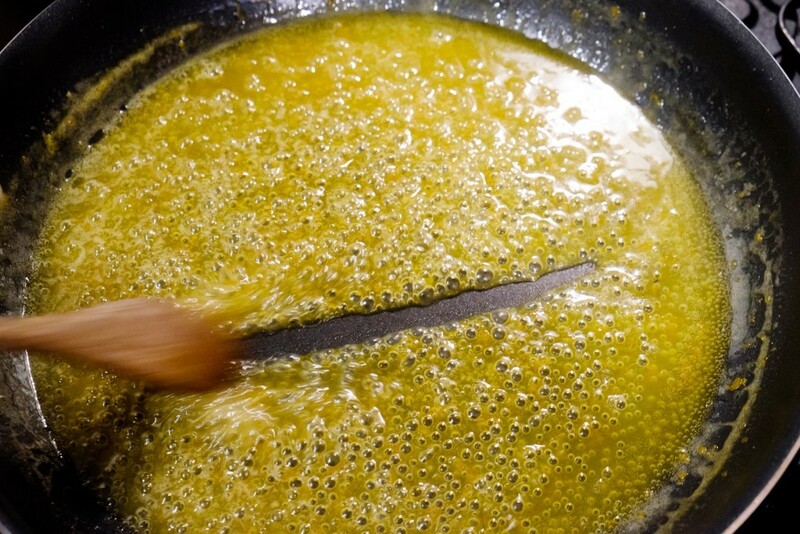 This mixture will make 4 crepes on a 12″ skillet. 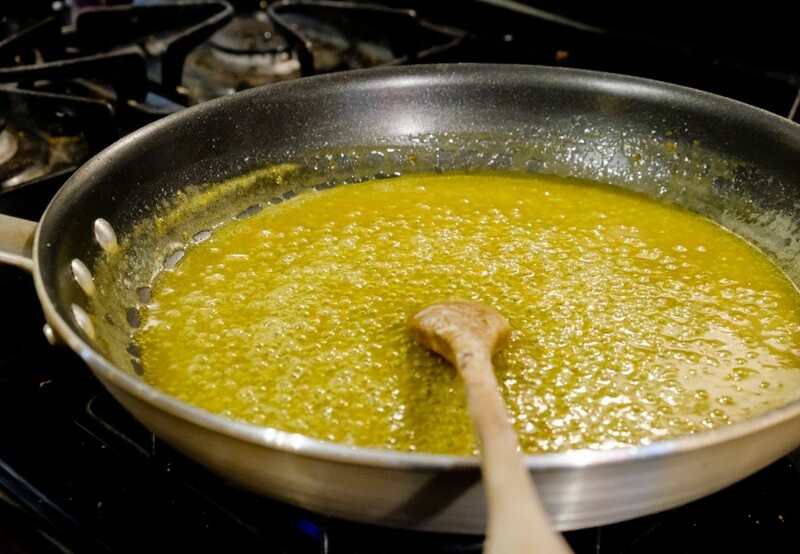 Add everything except the Grand Marnier to a pan over medium high heat. 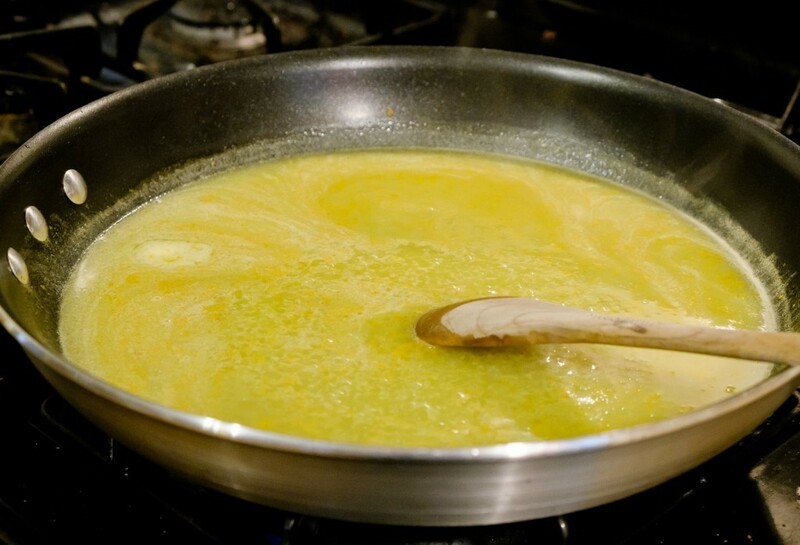 Simmer for a few minutes until it is reduced and thick enough to leave a trail when you pull your spoon through it. 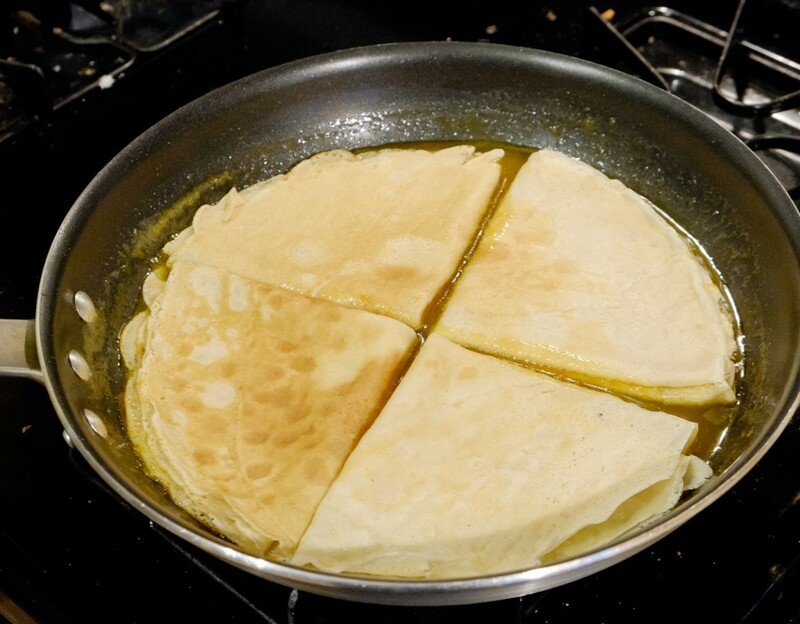 Fold the crepes into quarters and add them to the pan. 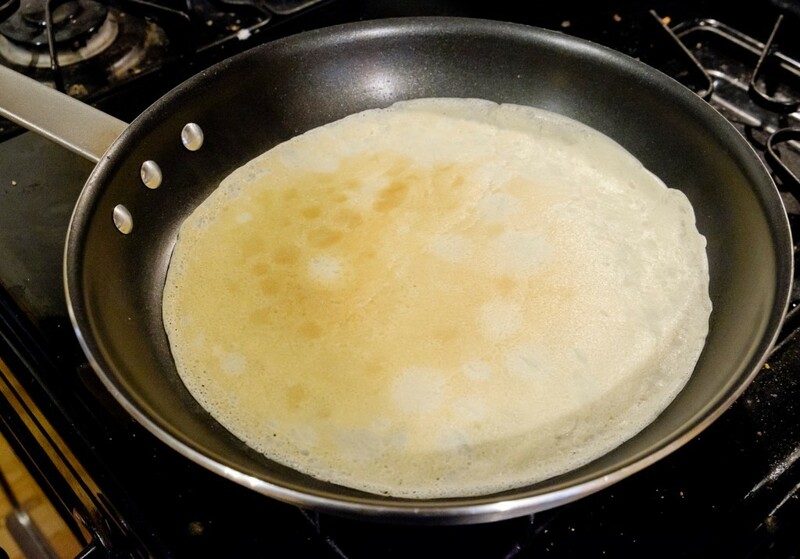 Flip the crepes so that they’re fully coated with the sauce. 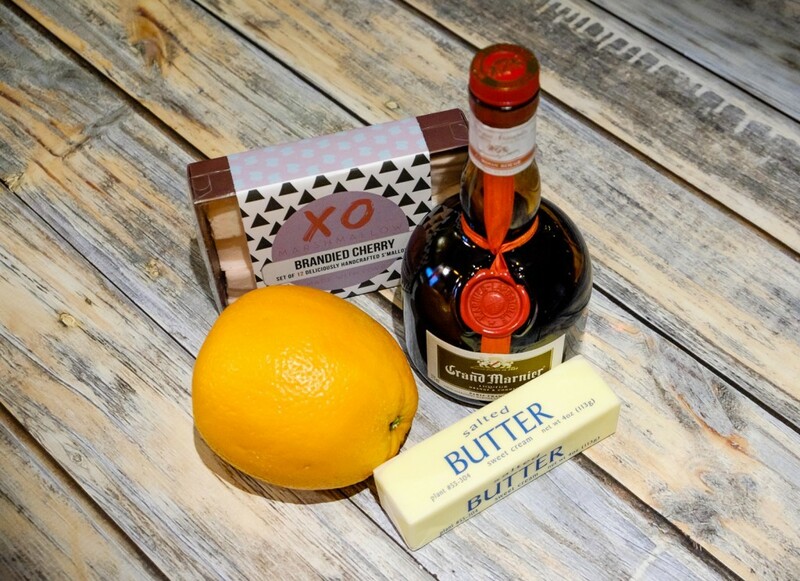 Add the Grand Marnier and light it with a torch or long lighter. Wait for the flames to die off and serve one or two in a shallow bowl. 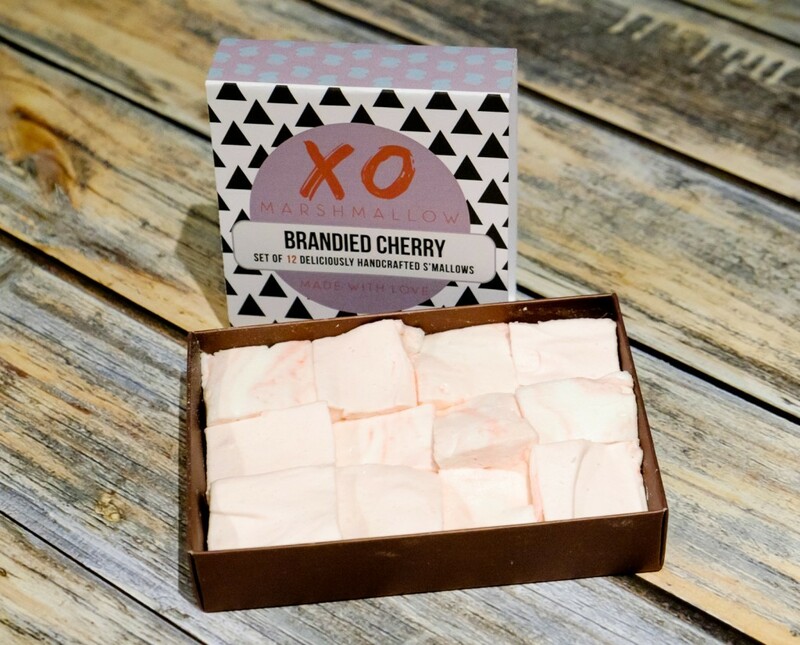 And now it’s time for the piece that makes this dish–the roasted brandied cherry marshmallows! I was so excited to open the marshmallows. 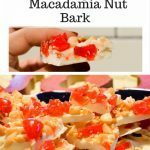 Nothing beats handmade treats and I loved the sound of brandied cherry. 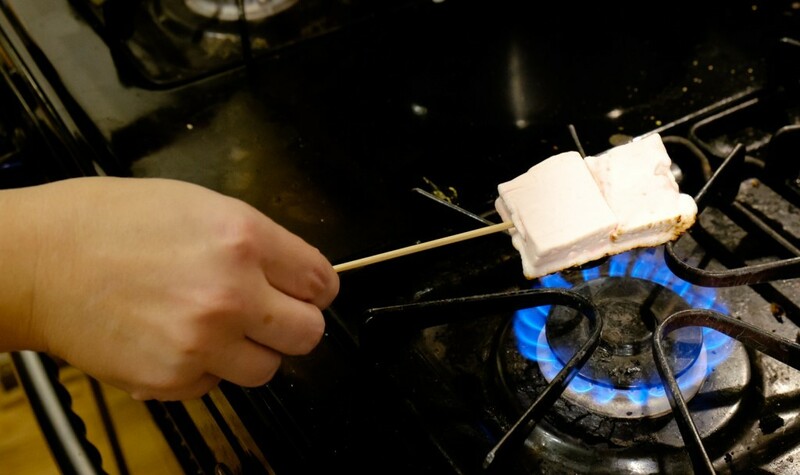 Put two marshmallows at a time on a skewer. Carefully roast them over a flame. Because these are all natural, they don’t take long at all to toast–just a few seconds on each side. 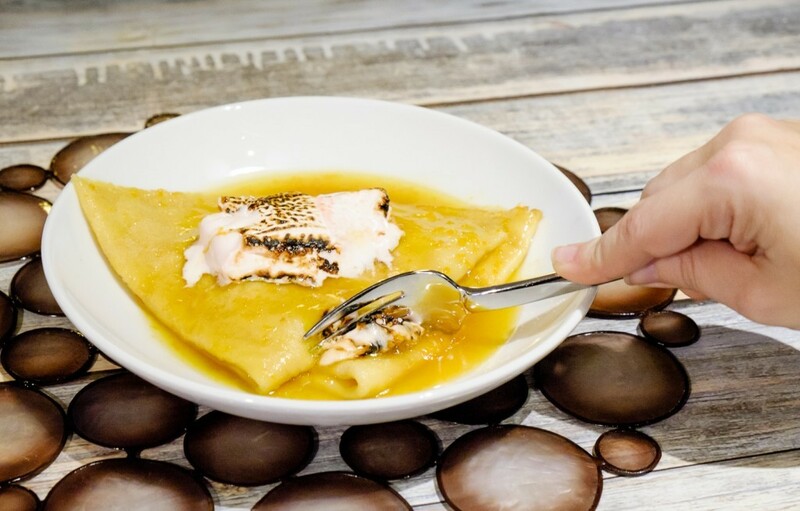 Using a fork, gently slide the marshmallows off and place on top of the Crepe Suzette. They will start oozing into a thick sauce on top. 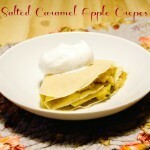 The sweet marshmallow perfectly complements the tangy sauce and the brandied cherry is perfect. 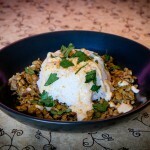 Take some marshmallow in each bite and this dish is absolute perfection. 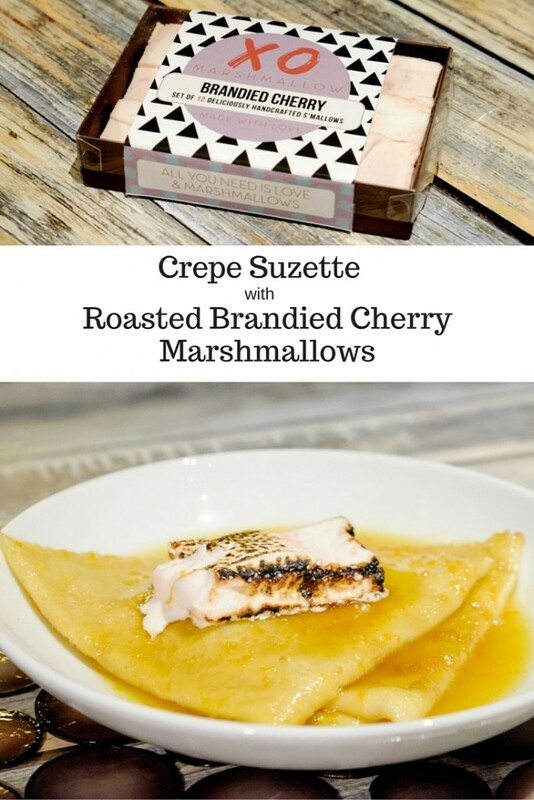 We very much enjoyed our Crepe Suzette with Roasted Brandied Cherry Marshmallows and I am looking forward to exploring the rest of the fantastic sounding flavors that XO Marshmallow has to offer. 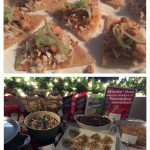 You can follow along on their Instagram account to stay up to date on their yummy adventures. 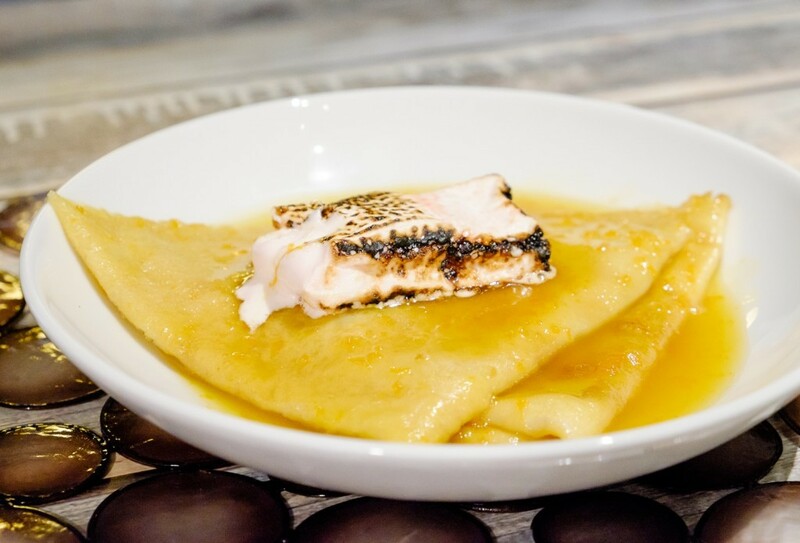 I know how to make crepes lickety-split but never made crepes suzette and never heard of XO marshmallows, Yum! 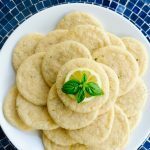 Can’t wait to try this recipe, Albion.